The Communist Manifesto, which was originally titled as Manifesto of the Communist Party, is an influential political manuscript that lays out the Communist League’s aims and program. The Manifesto presents an analytical insight into the class struggle of the historical and contemporary era. The book also highlights the problems of capitalism. The Communist Manifesto is divided into 4 sections. The first part is Bourgeois and Proletarians. It focuses on the Communist theory of the history and relation between the Bourgeois and the Proletarians. The next section, Proletarians and Communists, attempts to understand the relationship between Proletarians and Communists. The third part discusses the Socialist and Communist Literature and their flaws. The final part discusses the position of the Communists and its relation to the other opposition parties. This edition of The Communist Manifesto has been edited by Gareth Stedman Jones. In this edition, he discusses The Reception of the Manifesto, The Communist League, The Spectre of Communism, and Engel’s and Marx’s contributions. Gareth Stedman Jones also discusses the The Young Hegelians including Hegel and Hegelianism, the Emergence of the Young Hegelians, and the Battle over Christianity. It also discuses the Political Economy, Communism, The True Natural History of Man, The Impact of Stirner, and the transformation from Republicanism to Communism. 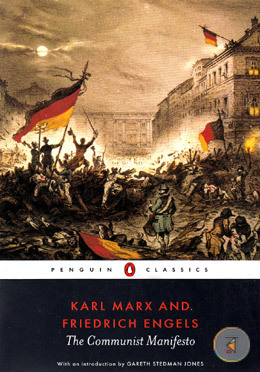 Written after 4 years of collaboration between Engel and Marx, The Communist Manifesto was originally written in German and published on 21 February 1848. When it was originally published, it raised much controversy. Today, it is an important manifesto, a powerful historical document, and an important classical work. Karl Heinrich Marx was an influential socialist, economist, historian, writer, and philosopher from Germany. Some of his prominent works include Das Kapital, On the Jewish Question, The German Ideology, The Poverty of Philosophy, The Holy Family, Theses on Feuerbach, and Wage Labour and Capital. Born in Germany, Karl's ideas have had much impact throughout the politics of the world and its intellectuals. His name is featured among the most influential people in human history. He was born into a wealthy middle-class family and completed his education from the University of Berlin and the University of Bonn. Friedrich Engels was a German writer, social scientist, philosopher, and political theorist. Other works by him include Herr Eugen Dühring's Revolution in Science, Socialism: Utopian and Scientific, The Condition of the Working Class in England, and The Origin of the Family, Private Property and the State. Born in 1820, Engels is the co-founder of the Marxist theory. His political philosophy, theory of class struggle, and capitalist theory have been studied universally. He died aged 74 in London on 5th August 1895. Gareth Stedman Jones is a professor and historian from Britain. Other works by him include Outcast London, Languages of Class: Studies in English Working Class History, An End to Poverty?, and Klassen, Politik, Sprache. He completed his schooling from St. Paul's School and degree from Lincoln College of Oxford. He has a D.Phil from Nuffield College, Oxford. He is also a Fellow of King's College at Cambridge. He currently works as a professor at the University of London. 3. The "Spectre of Communism"
9. Political Economy and "The True Natural History of Man"